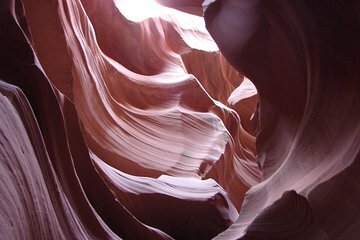 Experience Antelope Canyon and Horseshoe Bend in just one day on a 13-hour adventure. Instead of finding your own way there, take in the stunning Southwest landscape in all-inclusive transportation from your hotel, while your guide narrates. Along the way, enjoy a shopping stop in Cameron and lunch in Page. After an immersive guided tour by a Native American at Antelope Canyon, continue to Horseshoe Bend for outstanding views.